Jeffrey W. Glaze, President As an Eagle Scout, leader of three non-profit organizations and President of four businesses, Jeff Glaze strongly believes that “leading with integrity in everything one does” is the cornerstone of success. “Personal integrity is paramount. I believe that every organization should have a value statement, and live by it,” states Glaze, President, EpiCenter. This belief is strongly reflected in EpiCenter, where Glaze inspires and leads an experienced team to help fellow Epicor users navigate the ERP landscape and achieve their goals. The current ERP market can prove to be quite tricky. At one end of the spectrum there are wide open development environments, while at the other, there are ‘canned’ systems with barely any flexibility. “Epicor is the best of both worlds—it is an ‘open’ system where a user can adjust the logic of the system to suit their needs, without ever having to touch the source code,” says Glaze. EpiCenter’s team has extensive experience in navigating these two extremes, and guiding clients in making the best choices to rapidly meet the needs of their environment. “Epicor is a great product with lots of flexibility, both to customize the software without jeopardizing its ability to upgrade, and to interface to other systems, without hurting its data integrity,” comments Glaze. It does, however, come with a couple of niggles. The CIOs usually tend to approach an ERP package from a technical vantage point. “While the executives are very good at networks and servers, they typically have difficulty with business initiatives and processes such as lean techniques, advanced scheduling, and cost accounting,” he adds. EpiCenter is adept at bridging this very gap and ensuring a CIO’s success by helping them translate technical challenges into business solutions. To illustrate this point, imagine walking into a hardware store and buying a huge toolbox with many different tools. “You then take it home and announce that you are now able to fix anything in your home,” says Glaze. After examining and assessing the tools, it would be clear that some of them are readily understood and useful, while others may not apply to your work. “While you can take a torque wrench out and use it as a hammer, because it has a nice heavy head and comfortable handle, two years down the line when you might want to use it as a torque wrench, you’ll be in trouble.” This is where EpiCenter truly shines—discerning the enterprise needs accurately and guiding the user to apt solutions. Glaze and his team have an exquisite understanding of business and IT, and can successfully lead companies through this minefield. “Being a dominant player in the small to mid market ERP space for many years, Epicor has taken its time to evolve into the sophisticated product it is today,” states Glaze. Over the years, EpiCenter has consistently been keeping pace with Epicor changes. “Technology has advanced, the product’s architecture has changed, and we have been intimately involved with the system over the last 18 years,” he remarks. "EpiCenter has become Epicor's 'go to' resource"
EpiCenter has live versions of every Epicor version going back 15 years, enabling them to instantly model a customer’s environment. “We have ‘snapshots’ of these various platforms and when we are uplifting a client from Vantage 6.1 to Epicor 10, we have live versions of both systems available,” Glaze adds. EpiCenter’s staff is well experienced in every Epicor ERP system and has the skill to model the solution while explaining to the client the ‘pros and cons’ of the various decisions being made. “We fully understand where clients are today, and where they need to be tomorrow,” emphasizes Glaze. For instance, when Mass Precision—a large sheet metal and custom fabrication shop in San Jose, CA—wanted to upgrade from Vantage 6.1 to Epicor 9, they called in EpiCenter. “They were a legacy Epicor customer who had grown to four facilities with about 350 employees,” recalls Glaze. And since most of the original people who implemented Epicor had moved on, Mass Precision was in a tight spot.“We moved them through the upgrade process very smoothly—despite their project manager leaving the company part way through the process—and successfully brought them live last year on the then current Epicor 9 platform,” states Glaze. During the implementation, EpiCenter made significant improvements in the visibility of inventory and eliminated the need for manual inventory management that Mass Precision had been enduring. 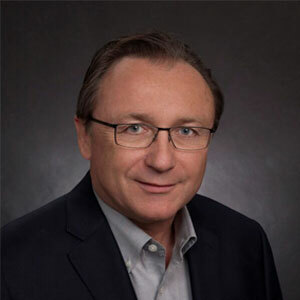 Since the time George Klaus, a former CEO of Epicor, recognized EpiCenter’s potential and the two companies forged a partnership, EpiCenter has become a‘go to’ resource for Epicor—complementing their various teams with business acumen and technical resources. Being a Platinum Partner and a recipient of multiple honors, EpiCenter is where Epicor turns to when they don’t have the right kind of resources in the right place.“We have staff who have utilized this software in solving their own real world problems, and staff who know the Epicor landscape better than many of the people at Epicor,” remarks Glaze boldly. Epicor maintains the core embedded ERP features of it’s product, but realizes that there’s no reason to ‘reinvent the wheel.’ “So when there is an extension needed, we help customers integrate other standard products like shipping manifesting, forecasting, Electronic Data Interchange, and Microsoft Excel,” informs Glaze. This ensures that data is only entered once, and users can leverage the core Epicor ‘system of record’ and utilize this data integrity as they analyze, plan, import, export and evaluate information. The company is regularly subcontracted by Epicor’s Custom Solutions Group (CSG) to provide technical solutions to processes like credit card processing while protecting the integrity of the secure data.Most importantly, EpiCenter is comprised of staff who have mainly been customers, or employees at Epicor. “We have engineers, accountants, even an attorney who left private practice to work for a manufacturing company and enjoyed the software so much he joined our team,” said Glaze. The company’s true strength lies in the extensive experience of its team of consultants—who have worked ‘in the trenches’ and have first-hand understanding of what it’s like to use Epicor at its fullest potential. EpiCenter is regularly trusted to solve the toughest issues in the ERP space. The company’s size, experience, and reputation give them a huge upper hand over the competition. “There is no aspect of the Epicor ERP product offering where we are weak,” states Glaze. The tides have turned; rapid growth of Epicor and its customers in today’s changing regulatory environment means it is impossible for an organization with just a few people to know the entire product. This is yet another area where EpiCenter comes on top. It is a true national player in the Epicor world, with staff all across the U.S., unlike many Epicor partners who are largely regional in nature. Highlighting EpiCenter’s tendency to push the boundaries, the company not only strictly follows Epicor’s proven Signature Methodology, but also enhances it in a few key ways. Glaze employs lean business consulting methods, leading to an effective system design. On one occasion, EpiCenter adapted Epicor’s Signature Methodology by using lean methods and organized an implementation into 7 ‘scrums.’ “The client had just been awarded a large distribution contract and they were severely lacking the infrastructure to cope with it,” points out Glaze. Each week EpiCenter conducted a weekly sprint with every scrum group and took them live in just six weeks by compressing the schedule and running many processes in parallel. While this was a simple distribution model, it illustrates EpiCenter’s ability to masterfully navigate the technical landscape and increase client productivity. On a different note, Glaze also emphasizes on the importance of having fun while helping customers achieve their goals. The company has an office environment that promotes ‘out-of-box’ thinking. “If you walk into our development department, you will see surf boards, bean bag chairs, fully stocked kitchen, Nerf guns and a team of people who truly love to come to work every day,” says Glaze. The company also has ‘game nights’ where online warriors wear costumes and bring in their gaming machines to wage war with each other. This fosters an environment where innovative answers to tough technical questions become the norm. Glaze actively encourages his team to participate in developer conferences, local developer groups and online forums. Following Apax Partners’ acquisition of Epicor in 2011, there is still unrest among customers if software powerhouse will continue to invest in its products, and maintain the lead in the mid market that they have enjoyed. Under these circumstances, EpiCenter sends strong message to the customer base by being the one to ‘have their backs,’ and assist in maintaining the valuable Epicor relationship that customers have invested in. An ERP consulting company specializing in implementation, optimization, and scaling market leading ERP platforms, like Epicor, for business needs.